On top of the expansion announcements, CMON recently announced a drop in price of all core and unit boxes! So you might see some unit box prices listed as $34.99. However, these prices have been dropped to $29.99! The Neutral Heroes #1 expansion comes with 5 new heroes which can be mixed into any existing army. The box contains Ramsay Bolton, Roose Bolton, Theon Greyjoy, Petyr Baelish, and Lord Varys. The Lannister Heroes #1 expansion box also comes with 5 new heroes: Sandor Clegane, Tywin Lannister, Tyrion Lannister, The High Sparrow, and Pycelle. The Stark Heroes #1 expansion comes with 6 heroes: Summer, Brynden Tully, Rodrick Cassel, Eddard Stark, Howland Reed, and Bran & Hodor. The Starks are known to be dependable, resilient, and above all, loyal. This goes double for their leaders. These warriors from House Stark lead the armies of the North in the War of the Five Kings. Each one under the Direwolf banner is an expert in some part of military engagement. Rodrik Cassel and Howland Reed can lead individual units on specialized roles. Brynden Tully and Eddard Stark are at home controlling the overall force with tactics and strategy. The presence of Bran Stark and his companion Hodor and the direwolf, Summer, are enough to instill courage in the troops and make them hold the line. 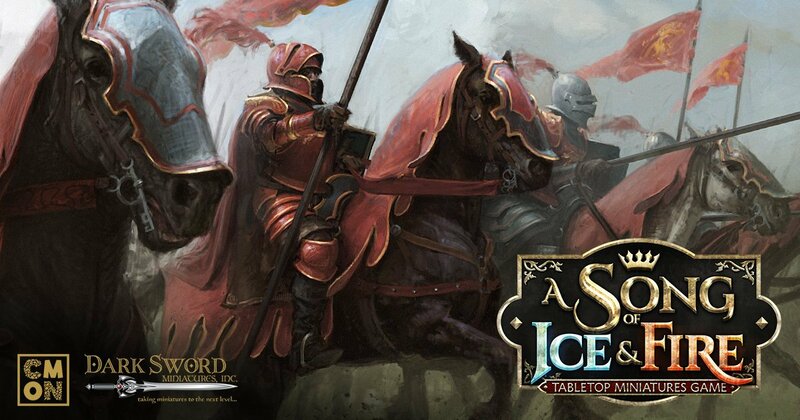 All of the characters in the Stark Heroes set for the A Song of Ice and Fire: Tabletop Miniatures Game will come in handy in the war for the fate of Westeros.